The Triangle is a three-part, six-hour science fiction miniseries written by Bryan Singer and Dean Devlin and directed by Craig R. Baxley. 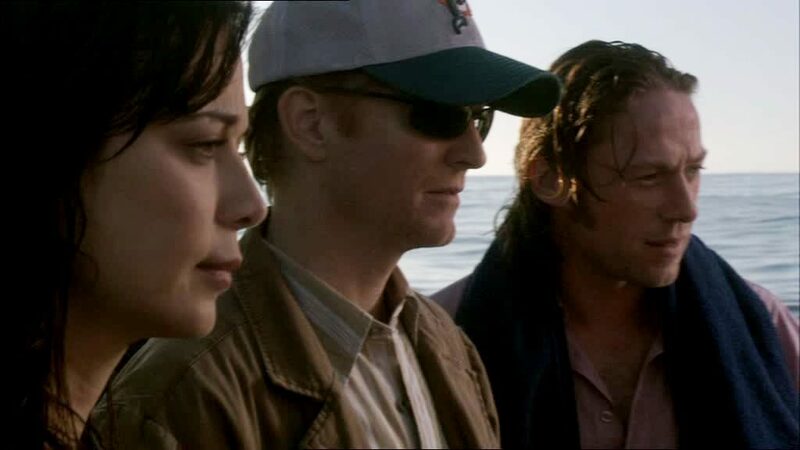 It follows a team of investigators (a reporter, a psychic, a meteorologist, and an oceanographer) hired by a shipping tycoon to investigate the disappearance of ships and aircraft in the Bermuda Triangle. The Triangle aired on what was then the Sci Fi Channel in 2005 and was released on DVD in March 2006. Billionaire Eric Benirall assembles a team of experts in many fields to investigate why many of his ships have gone missing in the Bermuda Triangle. He picks tabloid journalist Howard Thomas, ocean resource engineer Emily Patterson, scientist/adventurer Bruce Gellar and psychic Stan Latham. They join forces together as Benirall promises them unlimited funding for their projects and the chance for a once in a lifetime experience. A jetliner disappears over the Bermuda Triangle and bizarre things start happening to each member of the team. The government starts to take an interest in the team’s work and the research expedition that was a promise of riches soon turns into an effort to survive. 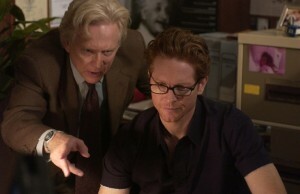 Darren Rea: What attracted you to the role of Howard Thomas in The Triangle? Eric Stoltz: It was a fun script with a terrific director and good actors and it was shot in South Africa, a country I love. 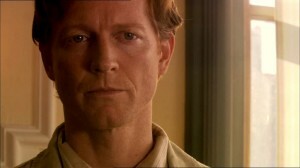 DR: Would you have accepted the role if it had been an ongoing sci-fi series rather than a mini-series? DR: Before starring in The Triangle, did you have any theories on the Bermuda Triangle? 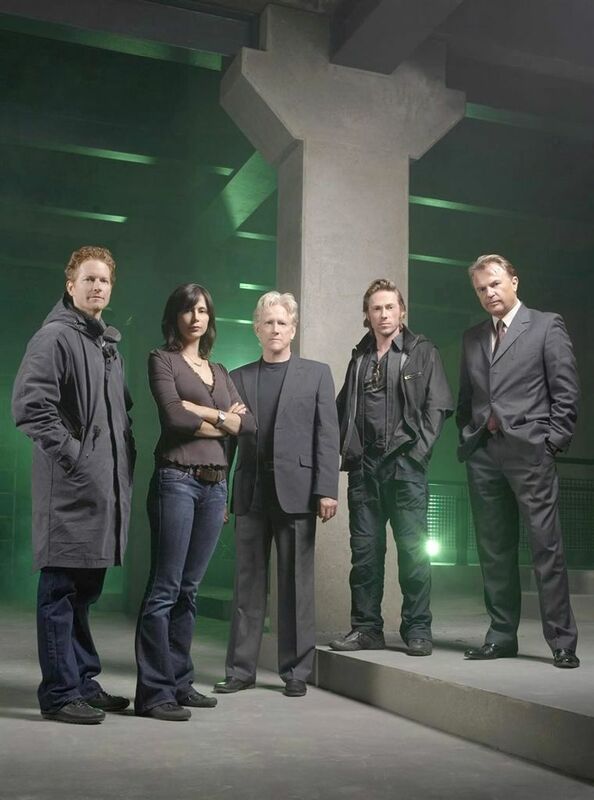 What were they, and has your theories changed since being involved with the show? ES: I didn’t, really. I just thought it was one of those places where strange and unexplainable things happen. Not unlike Hollywood. DR: Are you a believer in the paranormal? ES: I don’t know that I’d call myself a believer in the paranormal, but I do believe that there are things in this world, and universe, that are simply unexplainable – which is both disturbing and intriguing. We’re such a science oriented society, we need everything explained away and broken down and understood. It’s nice to find things that are beyond our ken, to be reminded that we really don’t know that much and that we’re just darn lucky to be here. 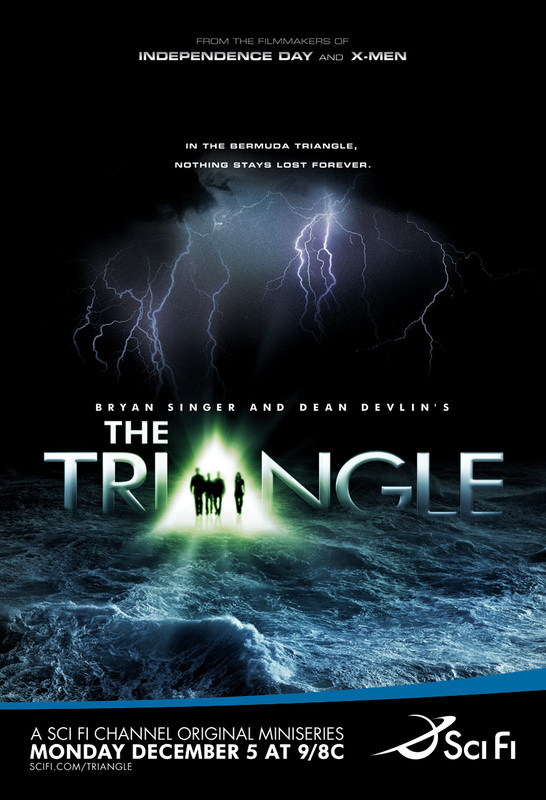 The DVD is bare on special features but does include the Sci-Fi Inside: The Triangle – which looks at the mystery of the Bermuda Triangle and the making of the movie. This features interviews with everyone involved in the making of the movie, and some background on the vanishings that have happened in the Triangle. I would have liked to have seen more special features on the Bermuda Triangle (this is a two-disc set after all), and not just what was running on the Sci-Fi Network before the movie aired. It is presented in 1.78:1 widescreen and comes with 5.1 Dolby Digital and 2.0 Dolby Digital sound.